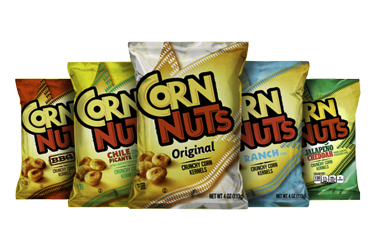 Corn Nuts is about as authentic as a snack can get. With real corn kernels and real corn flavour, the only way we could cram more corn into Corn Nuts would be by using the husks as packaging. And don't think they're not working on that!